Heinrich Treydte was born in Eisleben, Martin Luther’s birthplace, in 1981 and took his first clarinet lessons at the age of nine at the Beckum-Warendorf Music School from his longtime teacher Klaus Flaswinkel. After graduating from secondary school he continued his musical studies at the Music Academy in Lübeck with Prof. Reiner Wehle and Prof. Sabine Meyer, completing the course in 2008 with diplomas in music education and artistic training. During his student years he was accepted as a grantee in the Study Foundation of the German People and was a member of the Young German Philharmonic. From 2008 until 2010 he continued his education in a post-graduate program with Prof. Norbert Kaiser at the Music Academy in Stuttgart. During this time, an engagement as bass clarinetist took him to the theatre in Magdeburg moving on from there to the Frankfurt Opera in 2009. 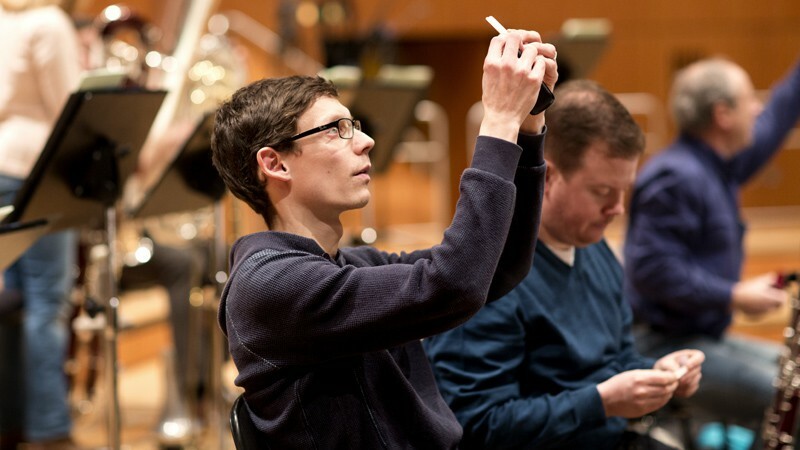 Since 2010, Heinrich Treydte has been bass clarinetist and clarinetist in the Bavarian Radio Symphony Orchestra.